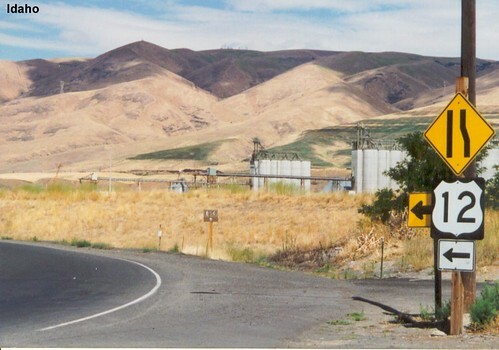 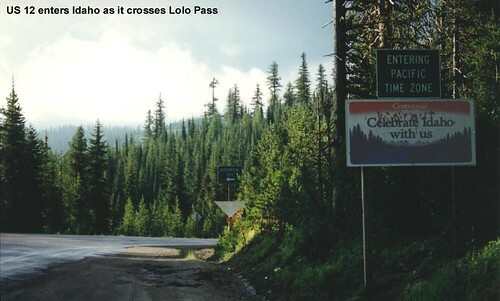 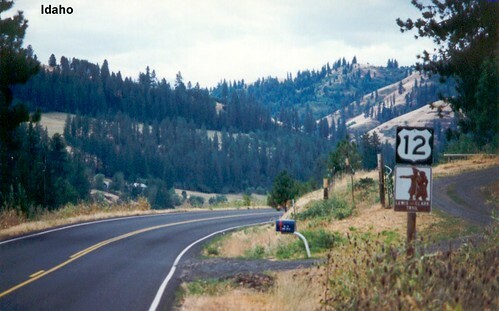 US 12 crosses Lolo Pass to enter Idaho. 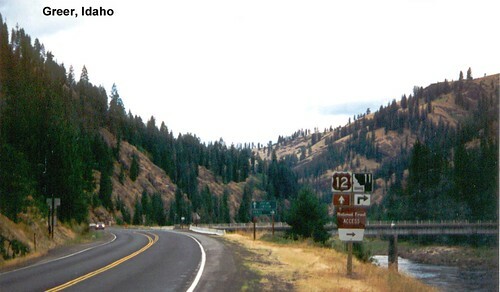 Following the Lewis and Clark Trail. 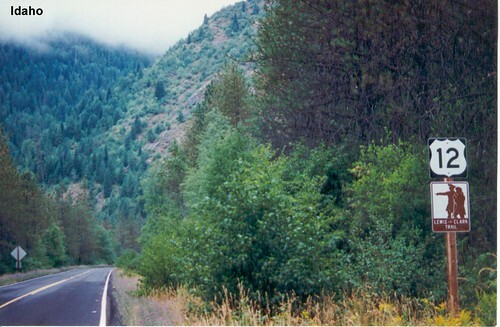 It was a very pretty ride through the mountains, but the road was so narrow there weren't many places to take pictures. 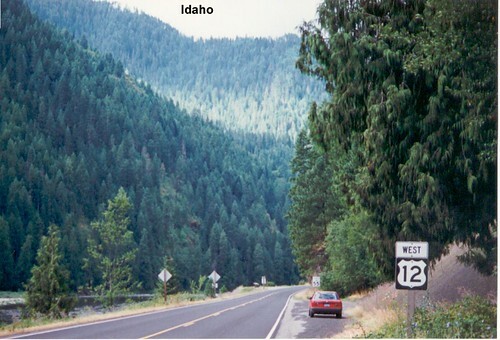 The trees thin as we head out of the mountains.